We are starting a new book in 2018 – 2 Corinthians! All men of the community are welcome. We want to grow deeper, but we also want to reach more men….so reach out…bring a friend. There are four opportunities to connect in a study group. A new Study has been added at Noon on Mondays on the Porch of the Carpenter’s Café. We now have 3 groups on Wednesdays: 6:30, 7:30, and 8:30; gathering in the Fellowship Hall. A full breakfast buffet is available at each. (Suggested $7 donation). 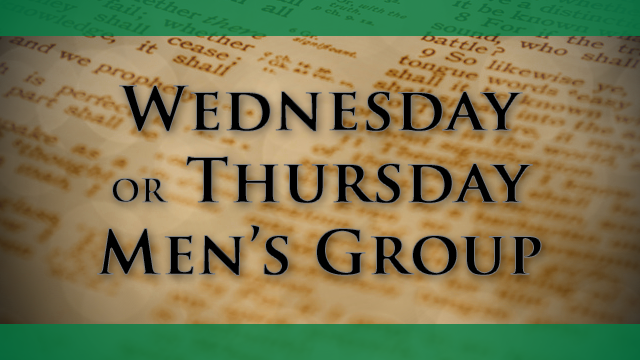 A 4th opportunity for men gathers off Island at the Perkins on San Carlos at 8:00 a.m. each Thursday. Men order from the menu and enjoy breakfast while studying the Bible. Each session is about one hour.